They aim to ensure Hammersmith and Fulham and the surrounding boroughs have a range of quality play provisions for children and young people of all ages and abilities. 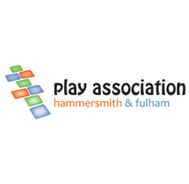 They work to promote and deliver children’s play opportunities in Hammersmith and Fulham and the surrounding boroughs, in response to local need. Delivering specialist play provisions for children with complex needs.